Extend vintage lighting effects out into your garden with solar hanging light bulbs. 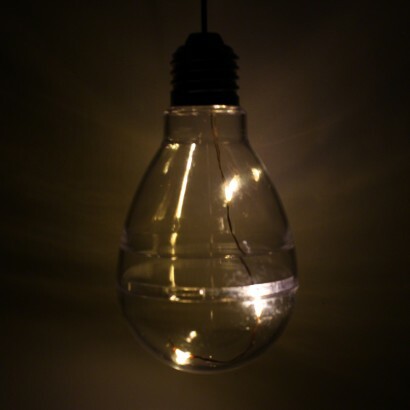 Exposed clear plastic bulbs can be hung from trees, trellises and more to give a pretty fairy lighting effect. 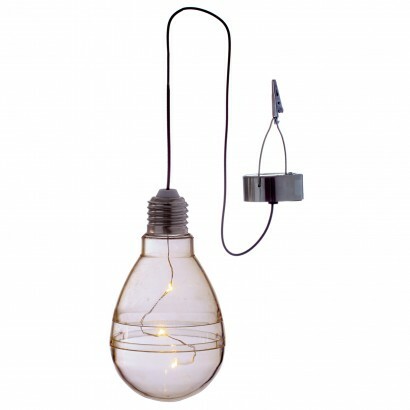 Each bulb contains a string of three warm white LEDs coiled around the inner of the bulb for a vintage lighting effect. 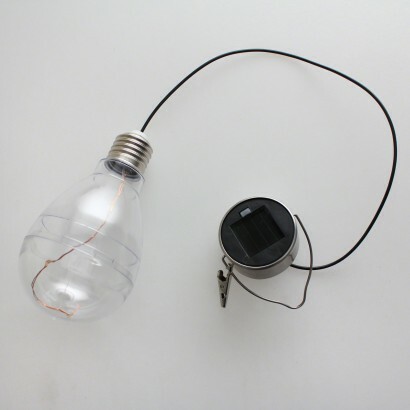 The solar panel sits on the hanging base of the bulb where it will receive maximum exposure to light and the hanging hook has a bulldog clip attached so as secure the light's position. Hang alone or create a lighting feature hanging in clusters for a stunning lighting effect that senses darkness to automatically turn on at night. These lights are great looking giving a retro feel as the light is subdued a good addition to my collection of led outdoor lights, I will get more.